The German company Nusser Yacht has chosen the "BOX 6" temporary building to produce and restore their own range of sailboats. 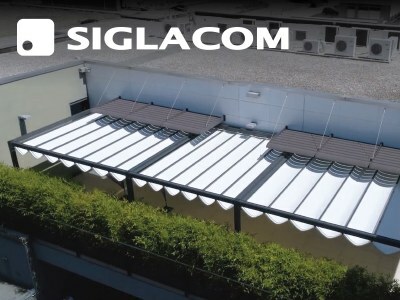 01/09/2017 - To make the most of its spaces, the Mantuan company asked us to provide a pergola with sliding curtain to cover the terrace of its headquarters. 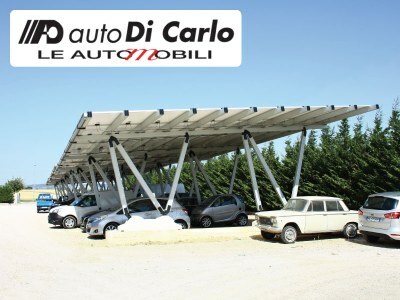 E-Distribuzione is an electricity distribution service authority and manages more than 1,100,000 km of power lines, distributing to around 32 million residential and commercial customers per year. 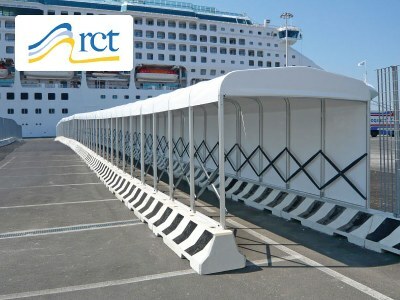 22/05/2017 - Rome Cruise Terminal commissioned us a 56 m long pedestrian connection accompanying passengers to the port. 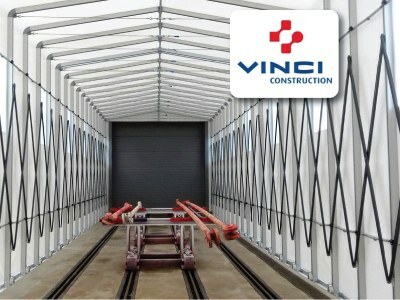 The French company Solumat Vinci Construction of Vierzon chose the Ready Box 4 temporary building in order to protect the rail transport of cleaning and painting materials. 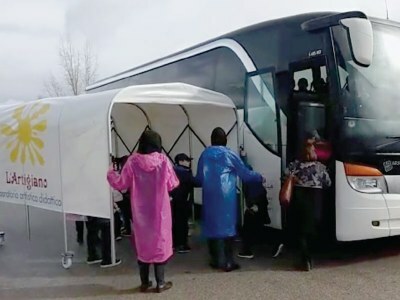 10/03/2017 - In order to give a warmer welcome to their young guests, the company Ceramiche Artistiche di Montanile Antonio of Brusciano asked us to supply them with a portable protective shelter. 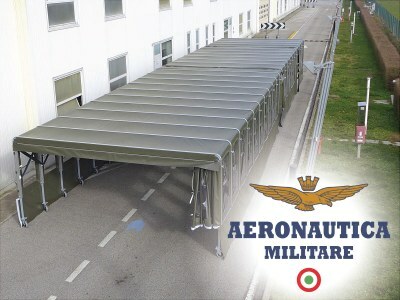 12/03/2015 - The Italian Air Force has chosen the high quality and high performances of our temporary buildings, appointing our Company as Official supplier for a very bespoke special project. 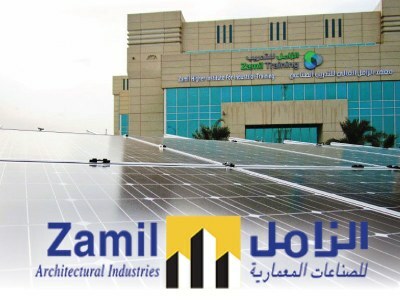 20/03/2013 - Zamil Architectural Holding to become a new partner and promoter of Giulio Barbieri in Saudi Arabia. Quick installation and no-foundations anchoring are the keywords of the partnership. 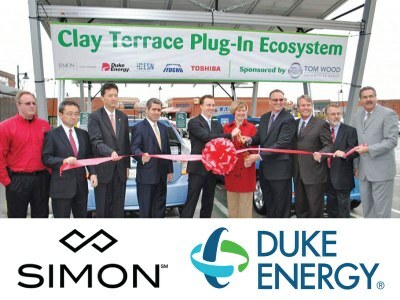 04/02/2013 - The industrial giants Simon Property Group and Duke Energy chose Giulio Barbieri for the realisation of an EVSE in Indianapolis (US) to support renewable energies and sustainable mobility. 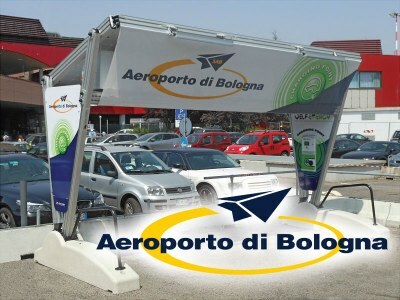 26/11/2012 - One of our "Self Energy" charging station has been installed at Marconi Airport in Bologna: our carports are of easy and fast installation and require no foundations works. 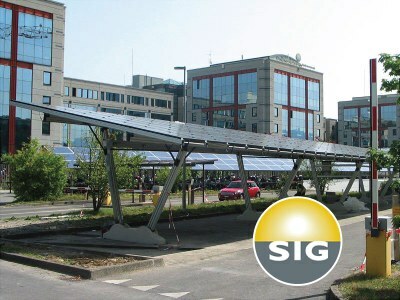 27/08/2012 - Installing "Energy Parking" shelters in the parking lot at the corporate office of S.I.G., the national electricity operator in Switzerland.